Join Andy Bhatti on December 8, 2018 from 12-2PM at Save On Foods in Langley for a Celebrity Christmas Food & Toy Drive. All donation proceeds will go to Sophie’s Place youth child advocacy Centre. 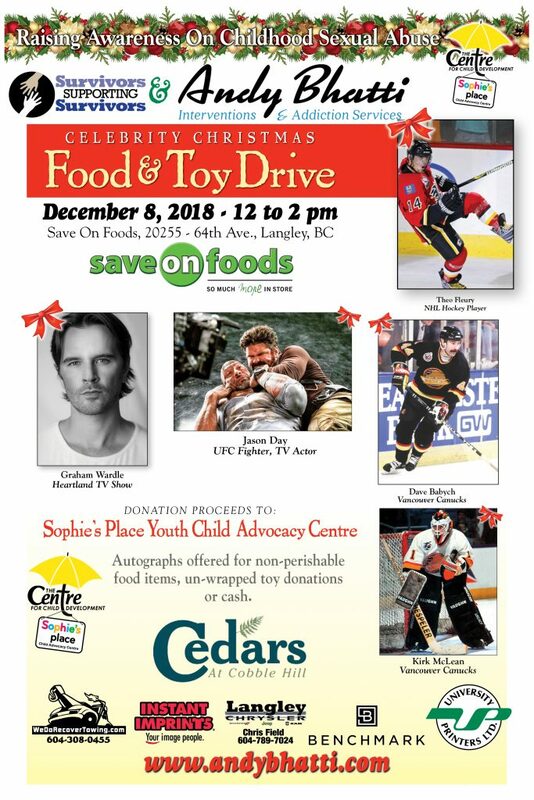 Come meet Theo Fleury, Dave Babych, Kirk McLean, Jason Day and Graham Wardle and receive autographs for non-perishable food items, toy donations or cash.